Posted December 23, 2014 by Lyndse Anderson. Poverty is a cultural experience. It shapes our view of ourselves, our view of the world around us, and our view of God. I grew up poor. By poor I mean having a “camp out” with candles and flashlights because the electric bill couldn’t be paid, going to the dentist once every 4 years because that’s how often my dad could trade his painting skills for our dental work, and being quite familiar with the local food bank where we both volunteered and received service. These were hard experiences at times, but they were also remarkable representations of living out faith. I never heard the word “poor” and I never heard my parents dismiss a dream or desire that I would share. I was only instructed to pray about it, work hard, and trust that God would provide. God did, always. More than provision, I witnessed the ways in which abundance can still be pulled out of poverty. I watched the gifts of time, service, and sharing become ways in which my family appeared rich on many occasions. I also realized early on how little is truly needed in life. I sound pretty enlightened right now, right? Don’t worry I’ll get back to sounding human very quickly. When I finally graduated college and had my first full time job, I began to have a transformative experience through the resources I suddenly had access to. I would find myself slowly walking up and down the aisle at the grocery store bursting with gratitude that I could buy any item I wanted and not have to worry about my bank account balance at check-out. The first time it rained after purchasing a new car, I suddenly realized that I didn’t need to worry about breaking down or whether I had enough tread on my tires. On occasion I would turn the heater on in my house and just sit with the realization that my monthly bills were always paid. What a remarkably abundant life I found myself living when I compared it to where I had come from. But guess what? All that novelty soon became my norm, which means my standard for comparison quickly translated from simple needs to excessive wants. It didn’t take long before I forgot to be grateful. The thing about gratitude is that it directly impacts our sense of abundance. The more grateful I feel, the more likely I am to feel content in my needs. Conversely, a lack of gratitude places me in a position of need and desire. When it comes to giving, we are most likely to give from a place of abundance rather than a place of need. Abundance is just as much of a mindset as it is a subjective experience. When we set our standard of contentment high we will feel constantly in need. 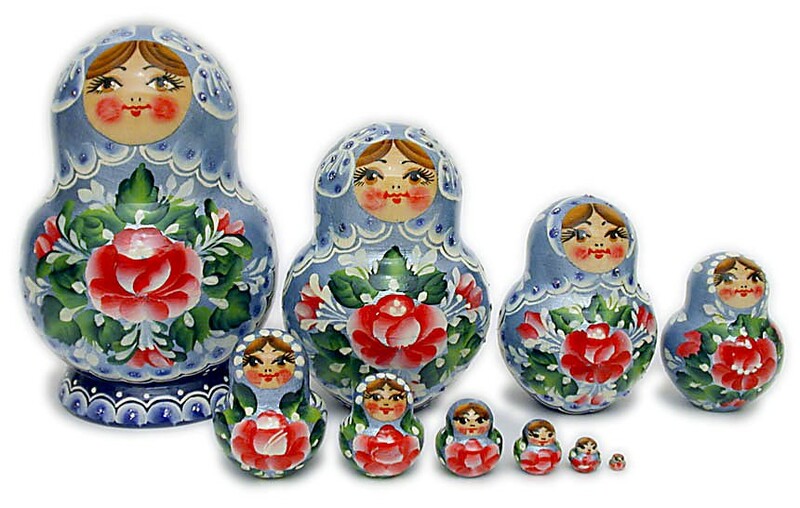 This reminds me of the Russian nesting dolls I played with as a child. The doll starts out large, but with each opened top a new doll in a smaller size is found. While the doll is smaller, it is still whole. It has the same intricately painted detail, smiling face, and round belly as the larger doll. While it is smaller in stature it is lacking in nothing. Jesus said, “Blessed are the poor in spirit, for theirs is the kingdom of God” (Matthew 5:3). I love that here Jesus specifically addresses the spirit. No two lives will share the same resources, opportunities, or blessings, but our spirit should always reflect the recognition that no earthly possession can bring value greater than the kingdom of God. I often find myself moving into a larger doll, but if I stop and reflect, I’m able to break back down to the smallest doll and remind myself that I truly live in abundance. My standard of need can easily be simplified if I’m willing to recognize the remarkable privilege and blessing I enjoy on a daily basis. It is from this place that I find myself ready to give. As the Christmas season brings opportunities for giving all around me I hope that I remember to adjust my view and give from the ever present abundance that God provides.